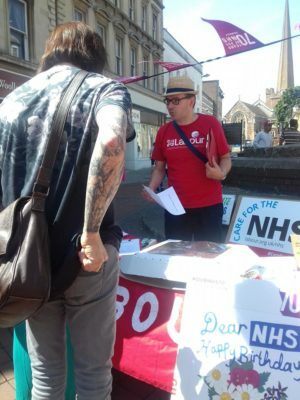 On 7th July, The Labour Party and Trade Unionists from the South West community joined together to celebrate the NHS’ 70th Birthday. Events took place in most parts of Somerset. 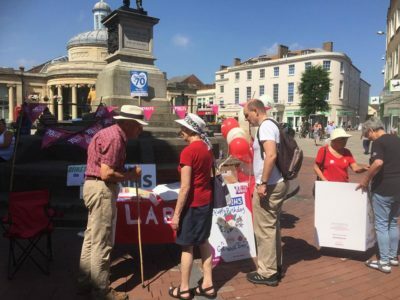 Labour members even held a tea party in Frome town centre supporting the NHS and celebrating the Labour achievement in creating the most positive contribution to the health and well-being of this country that any government has ever made.